"Dogs aren't takers, they're givers." The last couple weeks have been a real whirlwind. I took a vacation the week before Christmas, and the holiday seemed to just blow right by. In the rush, I missed out on my usual traditions of holiday baking, Christmas movies, and parties. This week, I was so desperate to hang onto every last thread of Christmas, that I decided to read a Christmas themed book. I usually shy away from holiday novels, but it turned out that a book filled with Christmas cheer was just what I needed. Mary Ann McCray is facing some drama at the local library. As a member of its board, she is arguing against replacing their longtime Santa that appears each year. The elderly man who normally plays Santa has simply gotten too old to fulfill the role. After all, no one wants to see their Santa attached to an oxygen tank. The board members insist the decision is not about how Santa appears, so Mary Ann suggests that perhaps Santa doesn't need to be a man at all. To her surprise, the board calls her bluff. Now Mary Ann must find a way to bring Santa's wife, Anna Claus, to life. 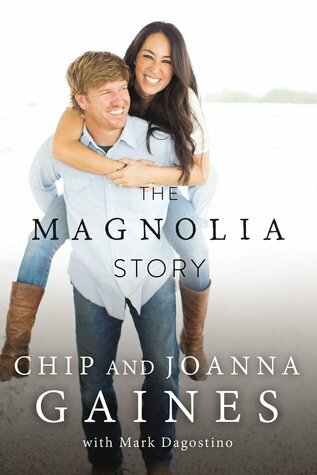 Just in time for the holiday, Abby and Link's marriage is falling apart. They recently put all of their savings into taking their two kids on a dream vacation to Disney World. Then Link lost his job and stared drinking. The last straw for Abbey came when Link got a DUI while the kids were in the car with him. She filed for divorce soon after. The family is thrust into complete turmoil. Their son wants nothing to do with Link, Link wants to escape the town and leave his family behind, and Abbey is trying to hold everything together for the sake of her children. Todd McCray has just moved back home. The town has opened a new no kill shelter, and he's been tasked with running it. His intuitive connection with dogs and placing them with the perfect owners makes him a perfect candidate for the job. But his latest charge has left him befuddled. Elle, as he's come to call the dog, is an odd little creature. A strange mix of retriever and dachshund, she doesn't have the pure bred look most prospective owners long for. Despite his best efforts to train her as a service dog, Elle just doesn't take well to her training. She lacks even the most basic obedience behaviors. With a new job that leaves little time to baby her, Todd fears he may never find the perfect home for Elle. In Noelle, Greg Kincaid captures the true spirit of the season in a simple story that is both emotionally engaging and easy to read. I was reminded of those holiday movies that play on the Hallmark Channel. You can see where the story is moving from a mile away, but you can't help but enjoy the journey it takes to get there. 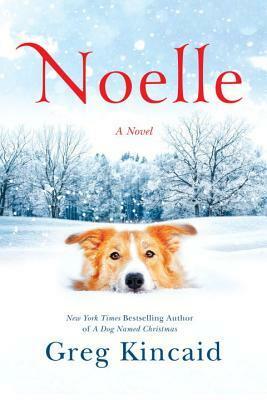 Noelle is the second book to follow the characters that were introduced in Kincaid's A Dog Called Christmas. 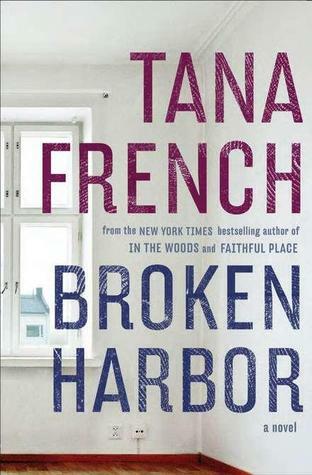 Having never read the previous two novels, I can't say that my enjoyment of this one was diminished in any way. Kincaid provides enough backstory and introduction to avoid readers being lost at any point. Overall, Noelle was the perfect novel for me to hang onto the holiday season a bit longer. I'd argue that we need more books like it to help remind us what this time of the year is all about. Earlier this year, I read Agatha Christie's famed Murder on the Orient Express. It was easy to see why Christie's novel has been a mainstay among mystery fans since it was published. Essentially a locked room mystery, the novel follows investigator Hercule Poirot's inquiry into the death of a man on the train. When I heard that Kenneth Branagh would both direct a film adaptation and portray the famed detective, I was eager to see this modern telling of the classic tale. The film opens with Poirot (Branagh) finishing an investigation at a church in Jerusalem. These early scenes introduce both the character's deductive prowess and obsessive compulsive tendencies. Branagh gives the character an air of both humor and wisdom with a charismatic charm that is instantly captivating. Poirot plans to take some time off after his case, but is urgently called to London to take on another. As fate would have it, this sudden change of plans lands him on the Orient Express. On the train, Poirot encounters the assortment of characters who will shortly become suspects in the murder of one of the other passengers. The film assembles a who's who of Hollywood actors to fill out the cast. Johnny Depp, arguably the most widely known member of Branagh's troop, plays the victim Samuel Ratchett. Ratchett's unsavory business dealings leave a plethora of people who could have potentially killed him. Poirot swiftly begins a methodical investigation of the only people who had access to Ratchett, the other passengers. 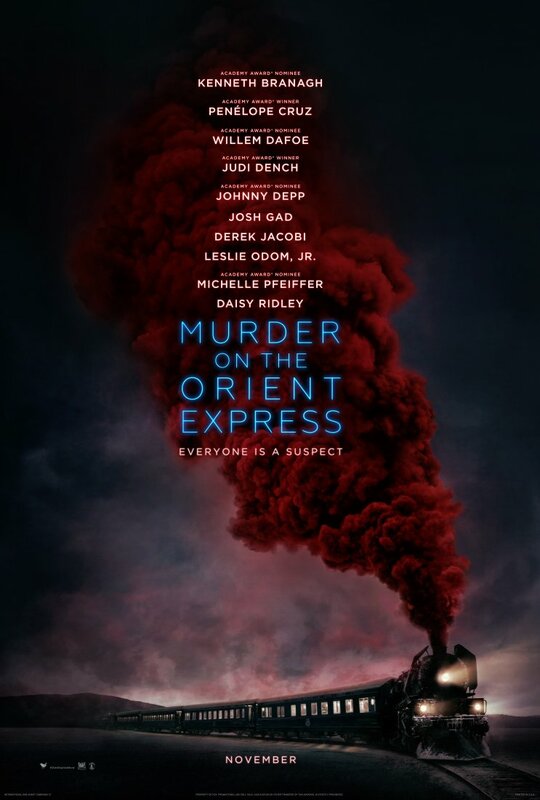 Like the book it is based upon, Murder on the Orient Express is a slow building mystery that offers a nice change of pace for a trip to the movies. My only complaint is that the film is so filled to the brim with talented actors that they don't all get the equal opportunity to showcase their skills. Screen time aside, Branagh manages to honor the history of the story while making it relevant to modern audiences. Even knowing how the narrative would end, I still found myself on edge of my seat. Branagh makes ample use of the sweeping landscapes outside of the train and finds several inventive ways to vary the evenness of the interior. The filmmakers have already announced plans to adapt Death on the Nile. I can't wait to see more of Christie's classic novels brought to life. Confession: I have yet to read Andy Weir's The Martian. I know what you're thinking, "How could he have missed reading that one?!" I honestly don't know. I loved the film adaptation of the book, and the kindle version has languished on my kindle for over a year. 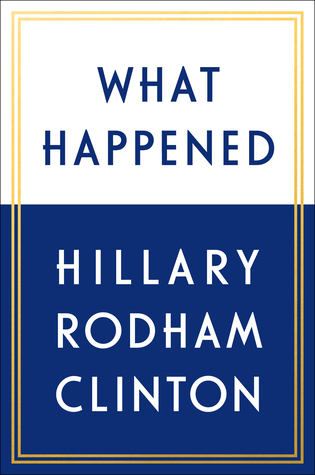 For some reason I just never got around to reading it. 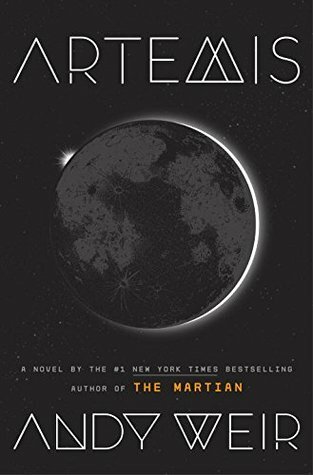 My negligence aside, The Martian became such a critical and commercial success that author Andy Weir has released a sophomore novel Artemis. I'm pleased to report that this novel hasn't sat dormant on my kindle. I enjoyed it so much, in fact, that I doubt you'll be able to ignore it either. Artemis sees Weir tackling a story that takes place a little bit closer to home than his previous novel, closer to home than Mars at least. In this novel, man has conquered space and made their home on the Moon. Artemis, as the lunar colony has been named, plays host to a variety of tourists, wealthy industrialists, and the people who work for them. Jasmine Bashara, Jazz has lived most of her 20+ years on the moon. Her father is a well-regarded welder who longs for Jazz to follow in his professional footsteps, but Jazz has other plans. Her job as a porter who ships the various goods that make the city run pays only a meager salary. To earn more slugs (the currency of the moon), Jazz has turned to smuggling in contraband for some of Artemis's wealthier citizens. A local businessman who regularly uses Jazz's smuggling services has called her in for a chat. He has a grand scheme to take over the monopolized aluminum smelting industry on the moon. The plan hinges upon someone sabotaging automated harvesters that scour the moon's surface. Jazz has the capability to both space walk and weld, skills that are paramount in successfully completing the job. In exchange for her services, Jazz would receive one million slugs, enough money to live comfortably and realize her dreams of her own business. But things will not be easy, especially in space! I thoroughly enjoyed Artemis. The Martian was essentially an escape thriller that happened to take place on Mars. In Artemis, Andy Weir sets a fast-paced heist thriller on the moon. I'm no scientist, so I can't speak to the scientific plausibility of Weir's imagined colony. Still, Weir's consistency in quasi-scientific logic goes a long way in making this out-of-this-world fiction set in an authentic reality. Jazz is unapologetically crass at times, but operates with an unflinching moral compass that makes her instantly engaging. The supporting cast of space-dwelling misfits are equally attractive. I still haven't read The Martian, but if Artemis is any indication of the quality of entertainment that Andy Weir can concoct, I certainly won't put off reading it much longer.